Looking to add a tote bag to your collection that has an exciting style that fits all seasons? 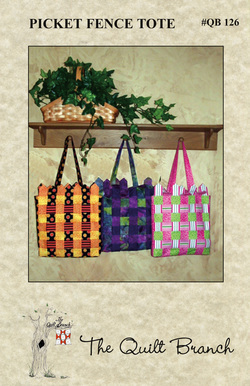 Use your own color combination to weave the pickets of this tote that will carry even your heaviest collection of quilt books. The tote measures 12 1/4" x 12 1/4" x 1 3/4".